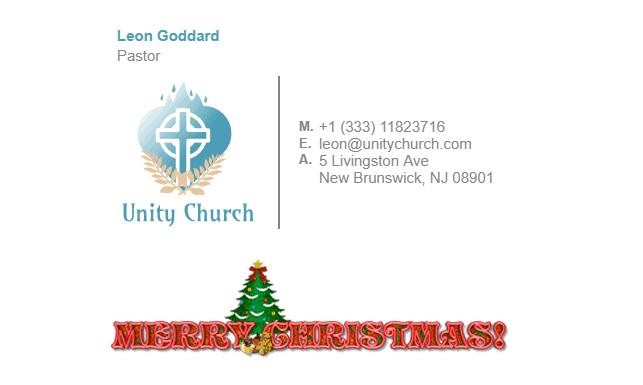 Christmas is a time for celebration, family gatherings, and happiness. 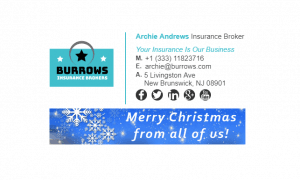 Showing everyone that you are feeling the Christmas spirit is all part of this great holiday season. 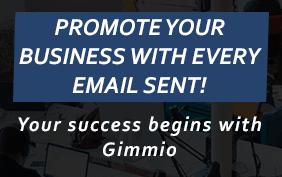 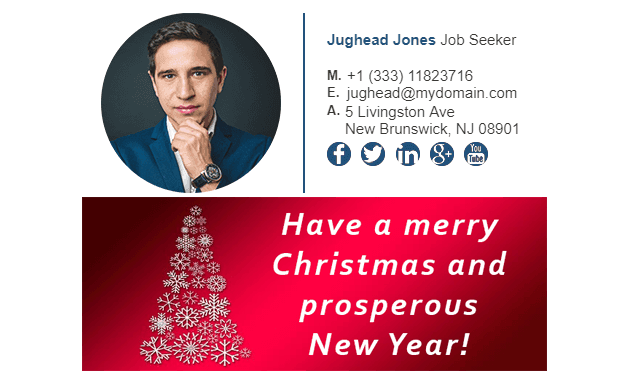 Even if you add just a few snowflakes or a few little Christmas trees to your email signature, your recipients will like that. 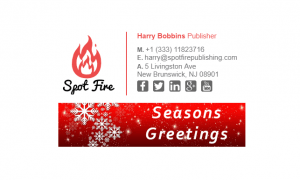 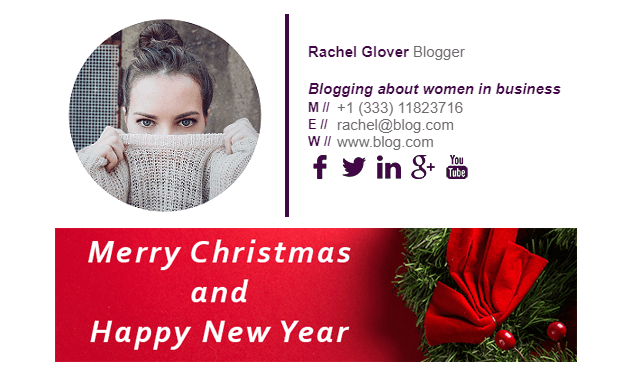 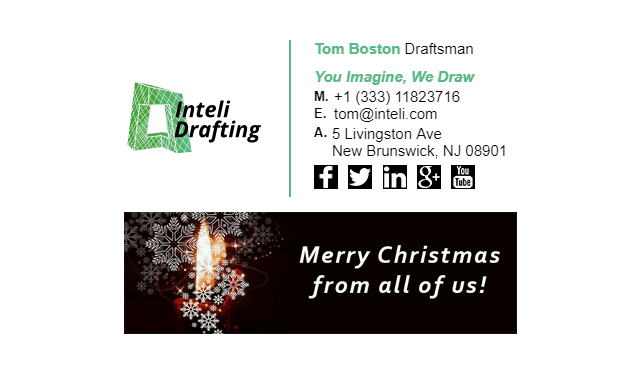 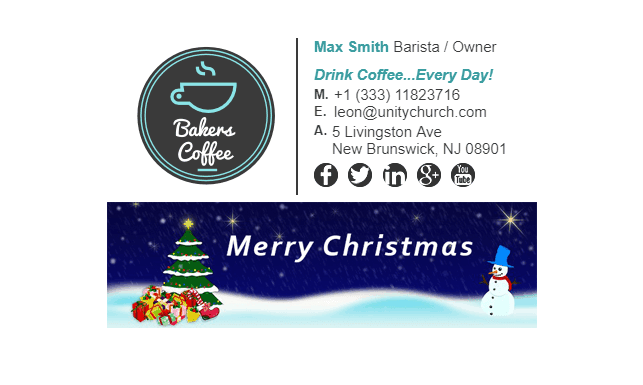 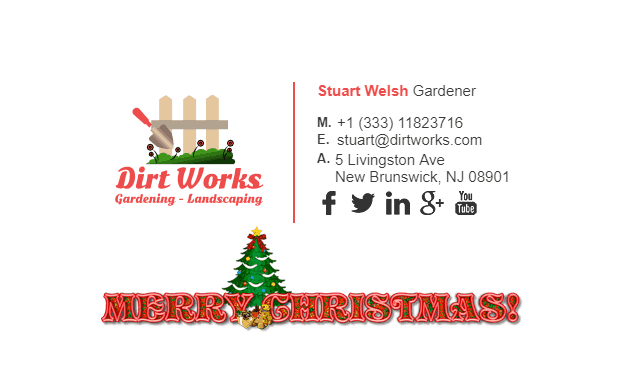 We have many Christmas holiday email signature examples below. What Should Be Included in a Christmas Email Signature?